Each of your bridesmaids has a different style – why not let her select a clutch just for her style? We love this inspiration via Emma Gordon London (with photograph from a real wedding by Jody Miller Photography). 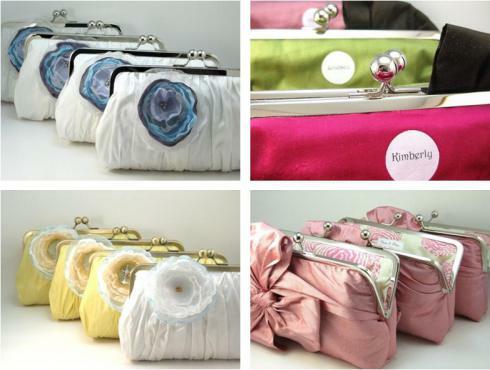 Each clutch matches the color scheme of your wedding but adds a custom style preference for each girl. 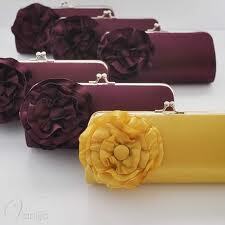 Bridesmaid Clutches! Genius, right? 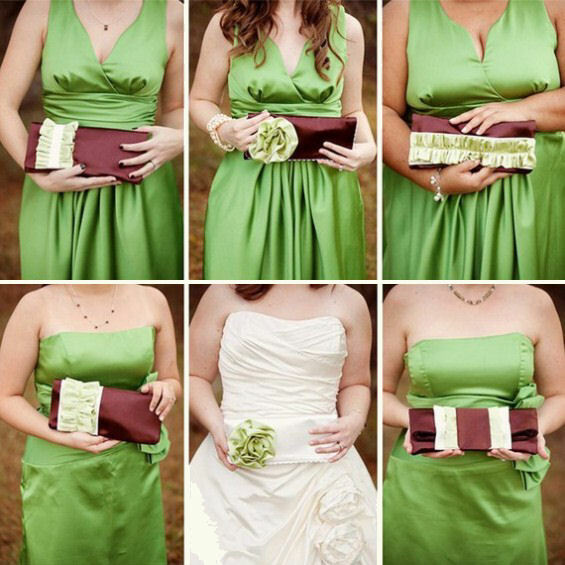 I have to ask- why isn’t EVERYONE jumping on the bridesmaid clutch bandwagon? Just think how more useful a clutch is instead of the typical decorative bouquet. By giving them clutches, my bridesmaids will be able to carry all my their important stuff around- lip gloss, cell phone, tissue, mints, etc.! 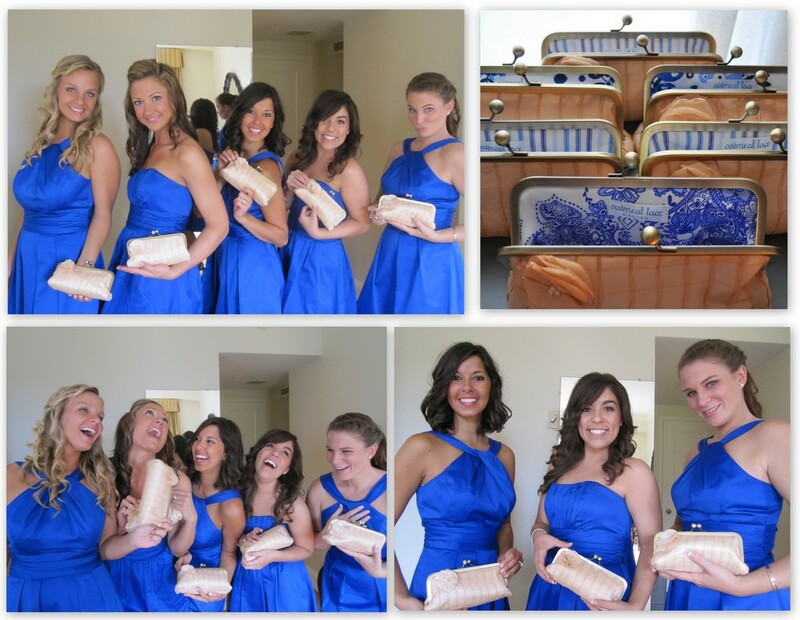 Bridesmaids are there for you on your wedding day, ensuring that your special day is absolutely perfect. So why not thank them with custom clutch! 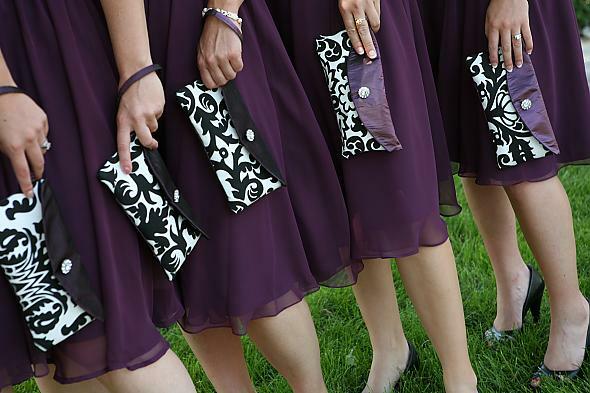 Our clutches are fully customizable, whether you want to line it in your bridesmaid’s Favorited color, label it with her name or leave the whole design up to her.